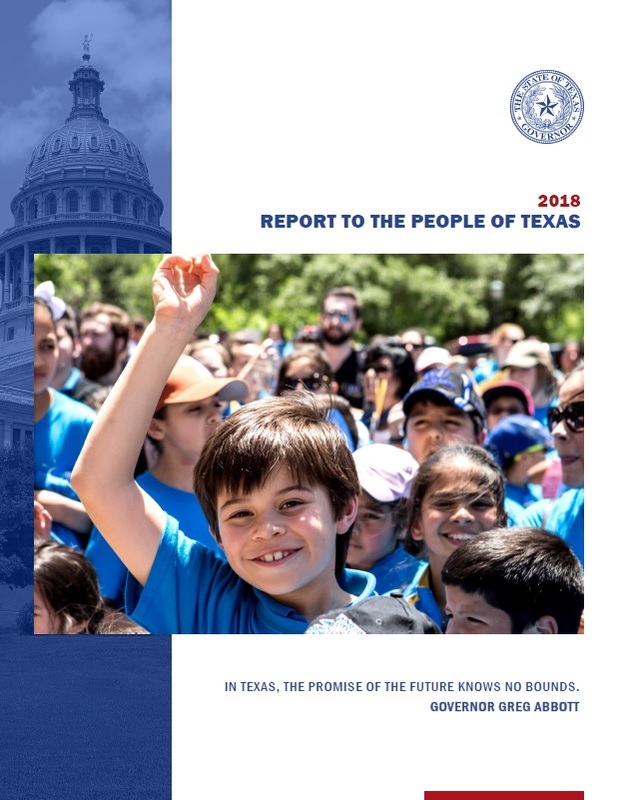 Last month Greg released his second “Report to the People of Texas,” which offers a look back at the triumphs and challenges of 2017, and provides Texans greater insight into important programs and policies being implemented and other actions taken by the Governor’s Office to move Texas forward. The report concludes with a look ahead, focusing on opportunities for continued success for Texans in the coming year. In addition to the report, Greg released a message to Texans inviting them to look back at the year’s successes, and thanking them for helping build an even stronger Texas for tomorrow.